For this test, I was feeding by hand: I was amazed at how little pressure was needed in order to get a decent feed rate from it. 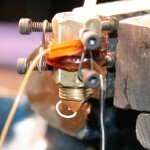 The Kapton encased nichrome wire drew about .9 amps at 12 volts, and took about 30 seconds to heat up. I used screws and wire to secure the heating coil. 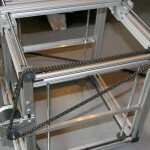 Do the xAxis – this should be the easiest of the bunch. 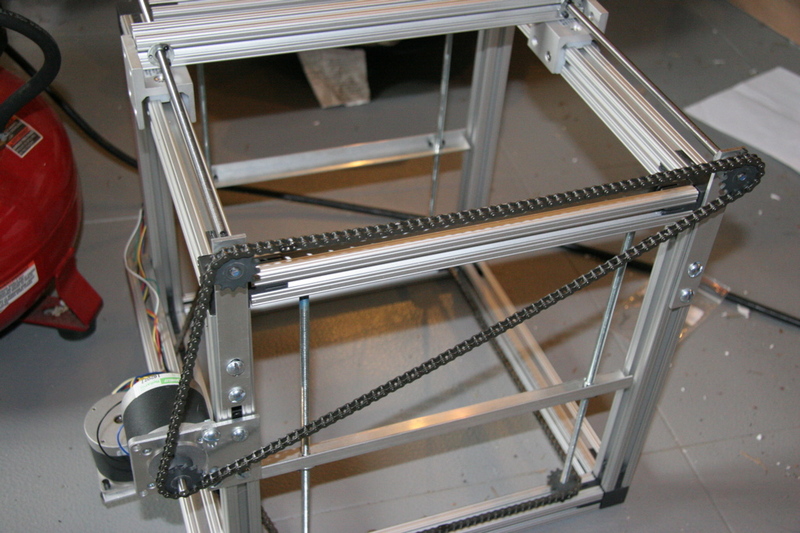 I only need to fabricate a mounting plate, then mount it, the motor, and the flanged nut to the extrusion carriage. 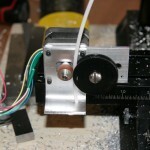 I already built the coupler. 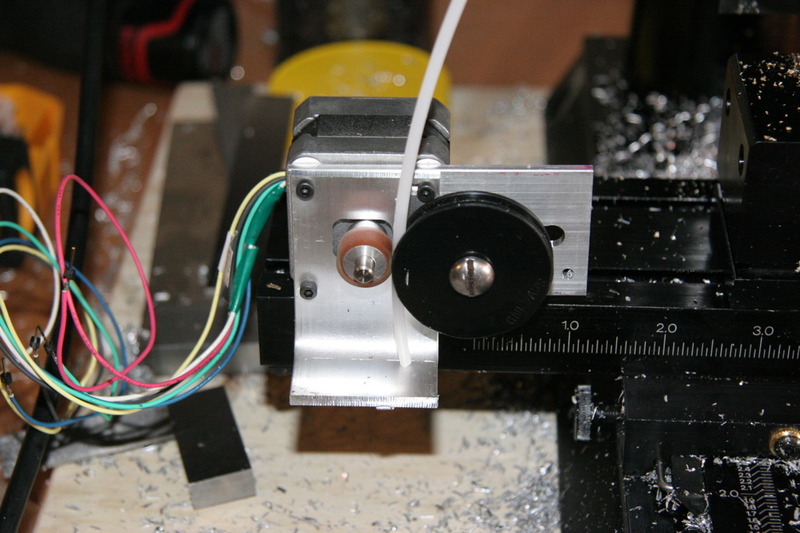 Finish the extruder head – I need to cut down the bolts, and wrap the whole thing in an insulator. The fed plastic tended to mushroom at the outlet port as well as get mushy while in the barrel. I’m going to use a hollow rod (maybe graphite? Steel?) wrapped in fiberglass to insulate the feed barrel. Hopefully that will prevent it from loosing integrity before being pushed into the outlet. You are currently viewing the archives for April, 2008 at OoeyGUI.